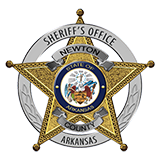 Newton County Sheriff Keith Slape said that 2 Harrison men were arrested Thursday September 9th for criminal impersonation of a police officer. John Ryan Davis, 22 of Harrison and Zachery L. Kroamer, 24 also of Harrison, had stopped an off duty wildlife officer and his family in the officer's personal vehicle. Davis identified himself as a Newton County deputy using the deputy's name. The officer stated he knew the officer and he wasn't him. A Newton County Deputy was dispatched to the area and located the vehicle and the wildlife officer returned to the area and identified the two. Davis was also charged with public intox and Kroamer with DWI. Slape wants to make sure that the public knows that when an officer makes a traffic stop that he will be a unit that is recognisible and that the officers will be identifiable. " If someone tries to stop you in a vehicle that doesn't look like a law enforcement vehicle, don't stop fopr them. This is a safety issue and we want the public to know we are there to protect and serve."